Written by DRPI on January 13th, 2016 . Navi Dhanota knew she needed some help to score top grades in university but this time, she wasn’t prepared to return to a psychiatrist’s chair to get it. She didn’t think any student should have to disclose their private mental-health diagnosis for the privilege of academic accommodations like getting extra time to hand in an assignment or test. So when York University demanded she name a specific mental-health disability to register for academic supports, Dhanota put her foot down. She had been through a similar system during undergrad at another school where she was diagnosed with six conditions just so she could write her exams in a smaller room instead of the gym, where the sounds of hundreds of people furiously writing created an enormous distraction. This time around, she decided to push for systemic change, filing a human rights complaint against York. After a two-year battle that ended with intervention from the Ontario Human Rights Commission, the sides last week announced a settlement. Dhanota worked with ARCH Disability Law Centre, the university and the commission to rewrite the university’s guidelines for accessing academic accommodations. Effective immediately, Dhanota and hundreds of other students seeking supports at York won’t have to label their illness to get help. The school still requires an assessment from a licensed doctor to confirm the student has a legitimate condition that may require faculty flexibility or other supports, but the focus is now on determining how the disability affects their learning. For example, some students may need to take tests at a particular time of day because medication makes them drowsy. Dhanota is part of what researchers are calling a “tidal wave” of students seeking academic accommodations for mental-health issues. Without adequate help, researchers have shown members of this group are less likely to graduate than those in other disability classifications. The number of students with mental-health disabilities registered at Ontario colleges and universities increased by nearly 70 per cent between 2006 and 2011, according to a review paper of academic accommodations published last year in the Journal of Postsecondary Education and Disability. Dhanota and her lawyer Dianne Wintermute used the commission’s own policy to argue that having to accept a psychiatric label to access goods and services was not appropriate. “Having a medical professional confirm disability or taking the word of the person themselves that they have a disability should be sufficient,” Wintermute said. Human Rights Commissioner Renu Mandhane said her office will be reaching out to post-secondary institutions across the province in the hopes the settlement with York will persuade other institutions to “bring their policies in line. Mandhane sees the settlement as a clear victory. Among the new guidelines is the introduction of interim accommodation for students who are waiting to be assessed by a doctor or specialist. They can be registered for temporary accommodations pending their assessment. Marc Wilchesky, executive director of counselling and disability services at York University, said he’s worried about how the settlement will impact his department’s ability to help students. “If we don’t get the diagnosis, if students choose not to provide it, in some cases it may make it a little more difficult to come up with the appropriate accommodation,” he said. 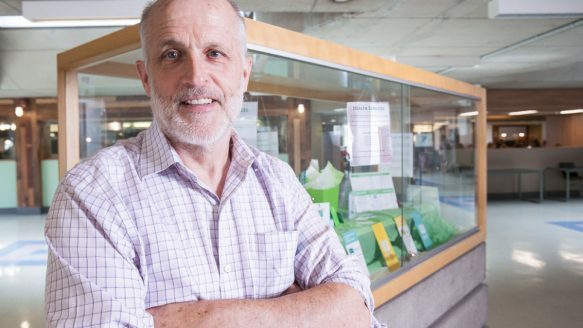 He’s worked at York since 1985 and seen the population of students with registered mental health issues grow from a handful in the early 1990s to almost 1,200 last year. Michael Condra is a psychologist and lead author of “Academic Accommodations,” which outlined ways to make campuses more accessible. His research found 70 per cent of Ontario student survey respondents had a mental health diagnosis before starting their post-secondary education. Post-secondary schools shouldn’t require students to name their disability for fair access to supports, a government-funded report advises. It’s not only about peoples’ privacy rights. A medical diagnosis is just unnecessary for schools to provide critical help, says Michael Condra, a psychologist and lead author of Academic Accommodations, which outlined ways to make campuses more accessible. Labelling a complex illness such as depression, which can manifest in many different ways, won’t do as much to help a student as a doctor noting exactly how the illness affects that person’s ability to learn, says Condra. In his research, Condra surveyed more than 2,000 students, teachers, administrators, disability advisers and doctors affiliated with post-secondary schools across Ontario. A recurring theme, he said, was the need for faculty to have more information about mental health and the accommodation process. Faculty said they really do want to help students in crisis but don’t know the limits of what they’re supposed to do. Condra says it’s important to be sure faculty is educated on these issues. Seventy per cent of Ontario student survey respondents in Condra’s research had a mental health diagnosis before starting their post-secondary education. Thirty per cent who sought supports for mental health issues did not. Condra’s report notes some students may wait 18 months before a specialist is able to fully and correctly assess their conditions. Students should not suffer in the interim, he says. Schools must provide temporary accommodation pending the assessment. All post-secondary schools should set up an institution-wide advisory committee to ensure they are up to date with developments in human rights and case law. The group could also be tapped to monitor the effectiveness of any new policies or processes and gauge their impact on staff and students. Condra points to the University of Manitoba’s committee as a model for this initiative.